An Italian business man has gone terribly mad. He buys BMW-s just to destroys them putting on quite a show. Even though he keeps complaining he is thoroughly disappointed by the brand’s vehicles, he has been buying the Bavarian means of transportation for the past ten years. He has recently set his 7 Series sedan on fire. The first time he displayed anger was when he destroyed his 2008 BMW M6 with a hammer and an axe, at the Frankfurt Motor Show in 2013. But it seems that he actually loved the car very much, becacuse he fixed it soon afterwards, on his own expense, as insurance did not cover for insanity. But fury caused a brand-new demonstration the following year. In 2014, at the Geneva Motor Show, he played the car smasher part once again. Several months later, he bought a Z3, but the poor roadster didn’t live long. It was set on fire by the crazy man the exact same year. 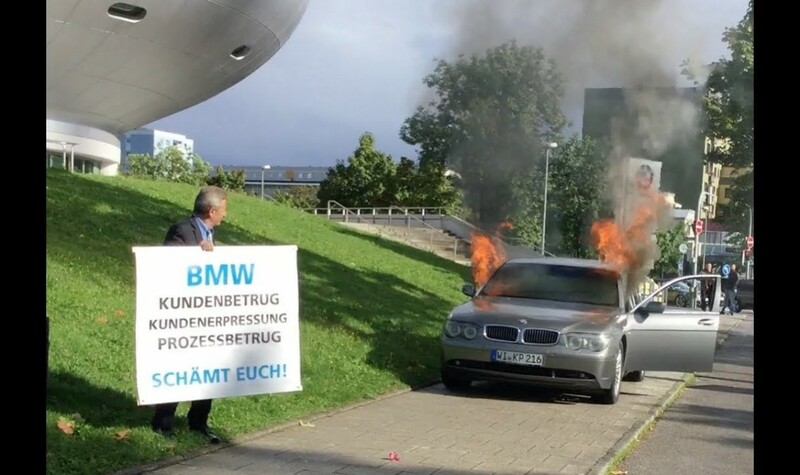 Last week, the man took his BMW 7 Series to Munich and chose the same death for his car: burning. Do you remember the Mercedes owner who got mad at the dealer that sold him the S-Class and destroyed the luxury sedan with the golf club?